The class web page is a great place to come to for information about what is going on in class. It also explains what things you need to be doing, both at home and at school to get the best out of your time in Nursery. Children can bring a packed lunch or pay for a school dinner. The price for dinner is £1.45 a day. As part of our routine we have a daily snack. The children have fruit and milk everyday except on a Wednesday, when they have a snack related to the topic each week with milk. We ask for a voluntary contribution of £2.00 each half term. This will also help towards baking activities. 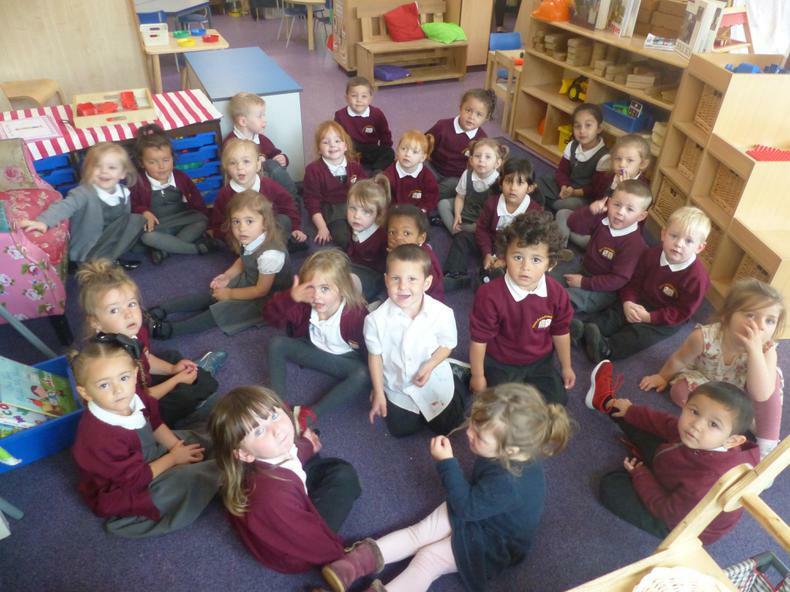 Nursery children are not required to wear school uniform although it is available from the school office if you would like to purchase it. We would encourage you to dress your child in comfortable clothes. It is helpful if children are able to manage the buttons and zips on trousers so that they are able to go to the toilet independently. We always encourage children to wear an apron during 'messy' and 'wet' play but accidents do happen. Please make sure that your child always has a set of spare clothes at Nursery. We provide a pump bag for every child on their peg. We have our own Nursery library and all children are encouraged to borrow a book to take home and share with you once a week. 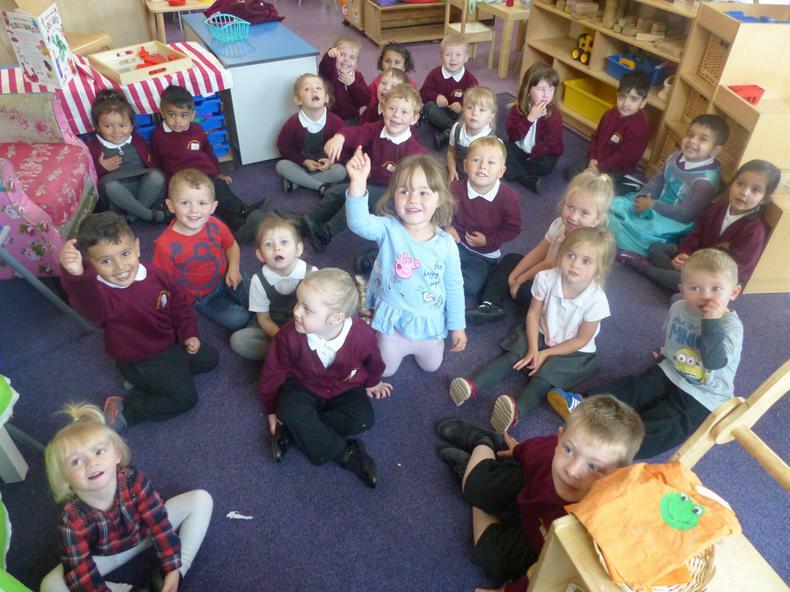 Please look after the books and return them back to Nursery in the plastic wallets provided.